For professionally oriented users who want a lightweight, high performance chainsaw. Perfect for carpenters, contractors, treecare workers and olive farmers. Features excellent ergonomics, high performance and high chainspeed. Price includes Chainsaw $599, BLi200 Battery $249 and QC500 Charger $249. Components also sold separately. *Trade-in offer is applicable to any chainsaw, regardless of brand, model or working condition. Trade-in model must be complete, dismantled units will not be accepted. Trade-in value must be passed on at time of purchase. Must include BLi200 Battery and QC500 Charger. Offers valid 01/04/2018 – 31/07/2018 at participating Husqvarna Servicing Dealers only, while stocks last. For professional users who want a lightweight, extremely easy-to-use top handle chainsaw with high performance. Perfect for arborists. A robust chainsaw with excellent ergonomics, high performance and high chainspeed. Price includes Chainsaw $599, BLi200 Battery $249 and QC500 Charger $249. Components also sold separately. Light weight, easy to use battery chainsaw ideal for felling small trees and pruning or cutting small branches. Features an intuitive keypad for safe, convenient starting, while the inertia chain brake ensures trouble-free handling. Brushless motor with savE? mode for reliable performance and longer running time, no direct emissions, while low noise levels allow you to work in residential areas without disturbing the neighbours. Includes battery and charger. Offer Valid 01/04/18 – 31/07/18, while stocks last at participating Husqvarna Servicing Dealers only. Husqvarna 236 e-series is ideal for jobs like pruning, lighter cutting tasks and hobby work. Easy to start and operate with built-in Husqvarna features like ergonomic design, facilitating technology and powerful X-Torq© engine with low emissions. Equipped with Smart Start© and tool-less chain tensioning. New model, ideal for jobs like pruning, lighter cutting tasks and hobby work. Easy to start and operate, thanks to built-in Husqvarna features like ergonomic design, facilitating technology and powerful X-Torq© engine with low emissions. Equipped with Smart Start© and tool-less chain tensioning. For a limited time receive a free safety starter kit* valued at $289! Offer valid 01/04/2018 – 31/07/2018 strictly while stocks last, at participating Husqvarna Servicing Dealers only. New lightweight and efficient homeowner saw, ideal for those looking for a chainsaw that is exceptionally easy to start and manoeuvre. Featuring X-Torq© engine for lower fuel consumption and reduced emission levels. Equipped with Smart Start©, fuel pump and Auto return stop switch for easier starting. Easier handling with tool-less chain tensioner. The new X-Torq© tree care saw. Itïs a lightweight powerful chainsaw for tree pruning from the ground or up in a sky lift. The low weight and well-balanced saw body makes it very easy to work with. A robust all round saw, ideal for demanding cutting jobs where more power is required for a longerguide bar. Equipped with X-Torq© engine with high torque over a wide rpm range. The saw?s body is ergonomically designed allowing for easy handling of the saw?s power. Further features include Smart Start©, Air Injection, LowVib© and combined choke/stop control. 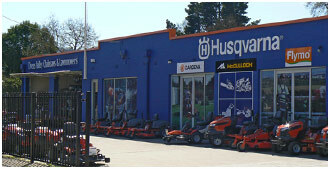 Husqvarna 556 was developed for demanding work by contractors and land owners. The saw has a ground breaking design, is loaded with raw power for efficient operation and has the ability to fit up to 28″ bars. Our unique X-Torq© engine technology provides more power when you need it, up to 20% less fuel consumption and 75% less exhaust emissions.